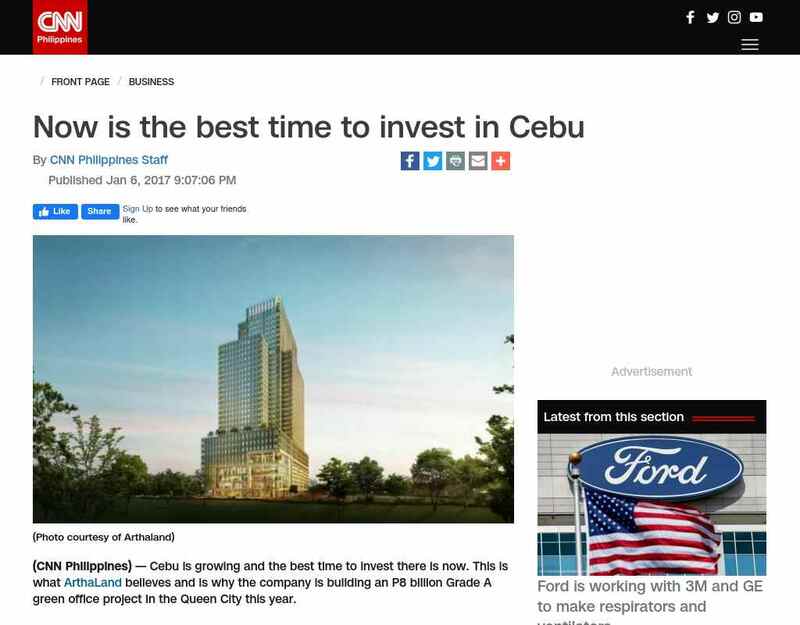 "..(CNN Philippines) -- Cebu is growing and the best time to invest there is now. This is what ArthaLand believes and is why the company is building an P8 billion Grade A green office project in the Queen City this year. Driven by the tourism and IT-BPM ..."
"..(CNN Philippines) -- Cebu is growing and the best time to invest there is now ... Cebu Exchange is registered under the U.S. Green Building Council's Leadership in Energy and Environmental Design (LEED) program as well as in the Philippine Green ..."
"..(CNN Philippines) -- Cebu is growing and the best time to invest there is now ... Building Council's Building for Ecologically Responsive Design Excellence (BERDE) rating program. It is the first and only development in the Visayas and Mindanao region ..."